John Doe 9 (a pseudonym used to keep his family safe) was a hard worker in the Colombian banana plantations, a labor union leader, and the sole breadwinner in his family. In 1997, he was tortured, decapitated, and dismembered by the paramilitary terrorist group known as the AUC (United Self-Defense Forces of Colombia). Now, his widow and hundreds of other families with similar stories are seeking justice against banana giant Chiquita, which admitted illegally financing the AUC for years. EarthRights International (ERI) and its co-counsel filed a petition to the U.S. Supreme Court on behalf of these families, urging the Court to consider the case against the Chiquita for financing paramilitary death squads in Colombia. The 11th Circuit Court of Appeals ruled that, despite the fact that Chiquita is a U.S. company that made decisions in the U.S. to finance the paramilitaries, in violation of U.S. criminal law, the victims’ claims under the federal Alien Tort Statute (ATS) lacked sufficient connection to the U.S. to be heard in U.S. courts. The petition to the U.S. Supreme Court seeks to reverse that decision. 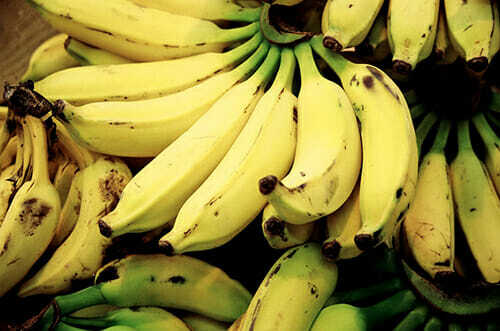 From 1997-2004, the AUC used Chiquita’s financial support to spread terror in the banana-growing region of Urabá, Colombia, where it killed thousands of villagers, labor leaders, and community organizers, who were suspected of favoring leftist guerrillas or making trouble for the plantation owners. Chiquita admitted to paying the paramilitaries and in 2007 pled guilty to federal criminal charges for providing material support to a terrorist group. Although Chiquita paid a fine to the Department of Justice, the families of the many victims have yet to see justice. Seeking justice from Chiquita in the company’s home courts, the families filed a class-action lawsuit alleging that, in order to maintain its profitable control of banana growing regions, Chiquita abetted the paramilitaries in the commission of numerous human rights abuses including murder and torture. The case before the Supreme Court is Cardona v. Chiquita Brands Int’l, Inc., which includes the class action Doe v. Chiquita Brands International, originally filed in 2007 with several other Chiquita cases, and coordinated as No. 08-MD-01916 in the Southern District of Florida. Additional counsel for the plaintiffs include Cohen Milstein Sellers & Toll PLLC, Judith Brown Chomsky, Arturo Carrillo, and John DeLeon. Additional information is available at www.earthrights.org.